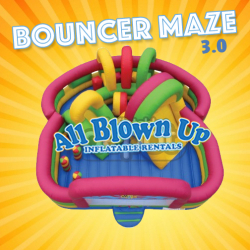 Thought our Bouncer Maze 2.0 couldn’t get any better? This is an inflatable game that has everything from obstacles to slides and it fits in your backyard. This game has to be a part of your lineup!